"Bio-bricks" may sound icky, but scientists say they offer crucial advantages over ordinary clay bricks. Researchers in South Africa are taking recycling to the extreme. In what they're calling a first, they’ve found a way to make building bricks out of human urine. 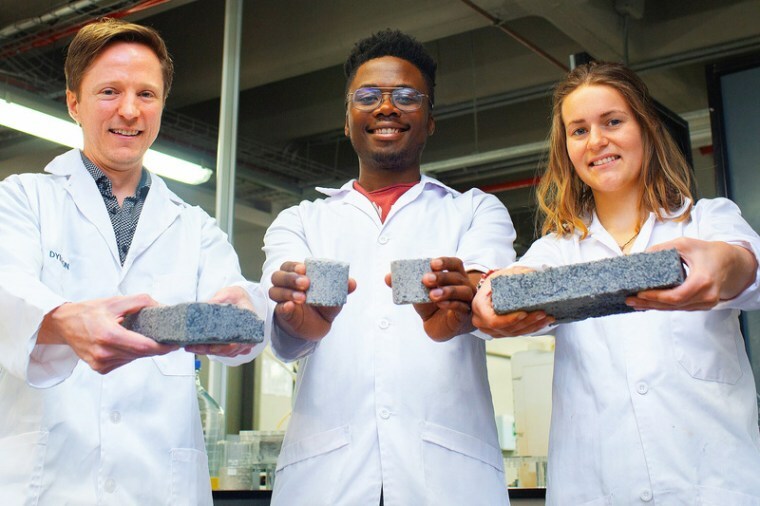 The so-called bio-bricks might sound icky, but the University of Cape Town researchers say they offer crucial advantages over the conventional clay bricks that have long been a mainstay of the construction industry. But John Locke, a New York City-based architect who has worked with similar innovations, praised the bio-bricks as an example of “new building materials and new methods of construction." "We need to rethink what buildings are made out of, and expand what we think is possible," Locke said.